“Best Young Actor” Award winner Abraham Attah is living the Hollywood life because of the lead role he played in the movie Beasts of No Nation. 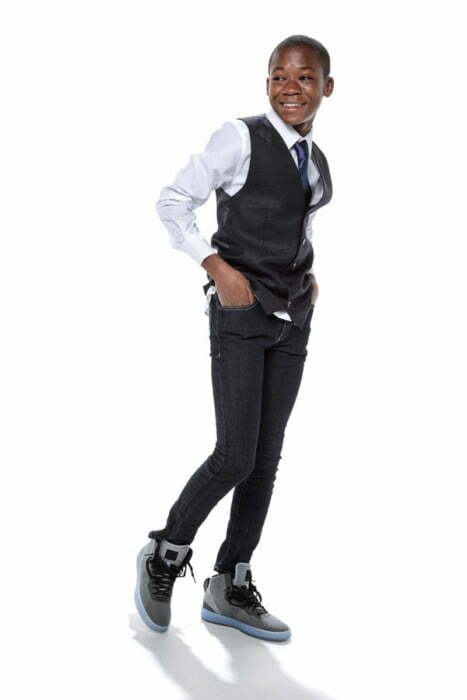 Flying in private planes, Lodging in 5-Star Hotels, Getting the red carpet treatment, Hanging out with A-List celebrities, He has experienced all of that and more. Before the movie premiered on Netflix and in selected Theaters in The United States of America last weekend, it was screened at number of prestigious film festivals including Venice, BFI London and Toronto International Film Festival. The movie tells the story of Agu (Abraham Attah) who when civil war tears his family apart, is forced to join a unit of mercenary fighters and transformed into a child soldier. 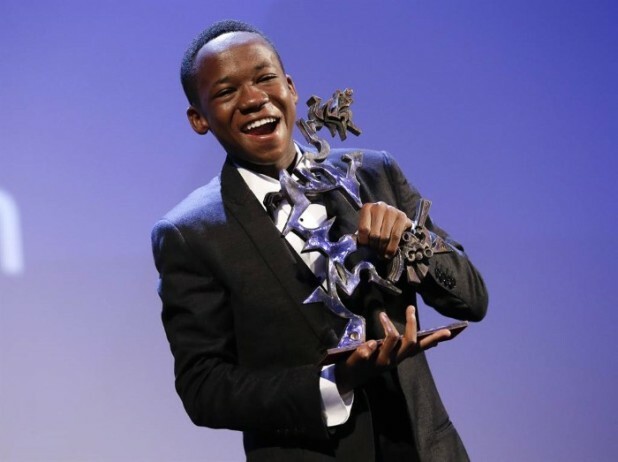 Attah won Marcello Mastroianni Award for Best Young Actor at Venice Film Festival 2015. He laid to rest reports about whether he was a street vendor or not before he was discovered for his role in the movie in an interview with The New York Times. People are saying I was a street vendor, but I’m not a street vendor. I was in school. We were playing football on our school field, and a white man was watching when I was playing. I thought he needed someone for the football team. He told us we should go for an audition. I was working hard for the role, so I got the role. Idris Elba played the commander of the mercenary unit. The movie directed by Award-winning Cary Fukunaga. Based on the 2005 novel of the same title by Uzodinma Iweala, it was partly shot in Ghana and also stars Ama K. Abebrese, David Dontoh and Grace Omaboe.